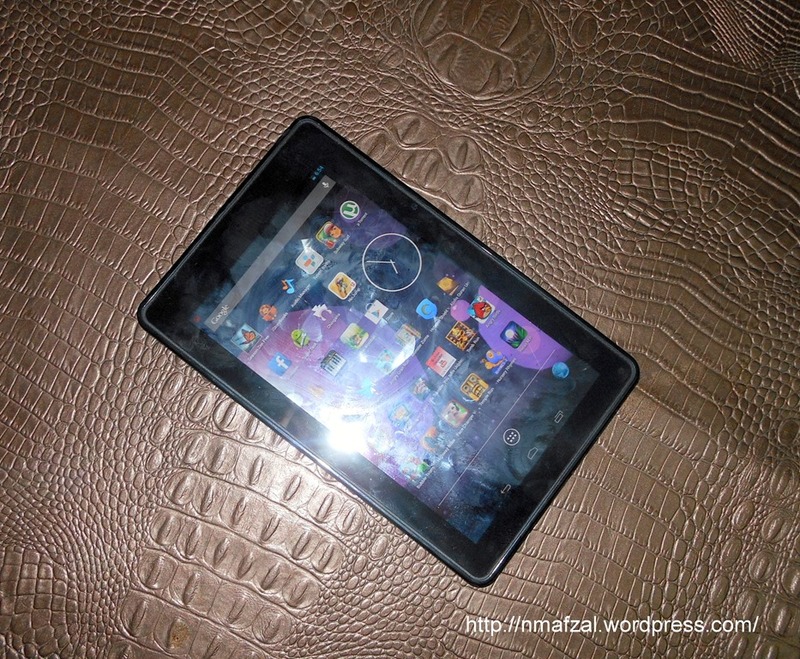 I badly wanted a tablet for fulfilling my social networking and net surfing needs while on the bed or on couch. The priorities were simple, a tablet with Android running in it, it should work on Wi-Fi, no need of a cam, good display and battery life, no Chinese thingy, oh and yes it had to be cheap too. So began the search for a tab that had to meet these conditions. Begorra, the net was surfed to its entirety, friends were consulted, re-consulted and called at odd timings, forums combed and after much tweeting and Facebooking, a dear friend told me to go for the Kindle Fire (Basic version). Lucky was I to get it at a throw away price. The conundrum ended one fine day when the courier guy walked up to my door to deliver a packed to the core tab. The thing has a 7” screen, works on Wi-Fi, there’s 8 Gb of storage, 512 MB RAM, a capacitive touchscreen, a 4400 mAH battery, speaker, 3.5 mm jack, a 1 GHz Dual core processor, the latest Android Ice Cream sandwich (beware this thing requires rooting), a sort of USB port, and that’s all. No camera, but then I don’t need one. Since its Holy Procurement, the has been captured by the kids and I rarely get to see it. All the latest games like Candy Crush Saga et al are there in it. I am however, on rare occasions afforded the chance to surf the web or Facebook a little which normally happens after midnight, and off course provided the battery still has some juice left in it. But other than this, it has been a good purchase. I am really satisfied. Bless the man who rooted it for me.